How can I have the master volume be a "global" volume able to change the volume for the bluetooth device? 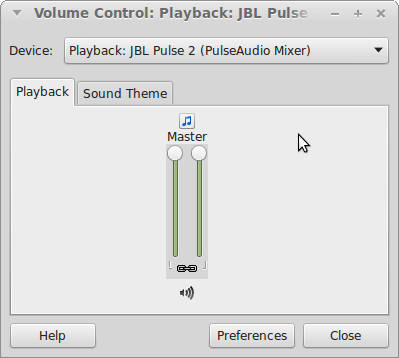 You are running Pulseaudio, which uses ALSA to drive soundcards, but which connects to Bluetooth speakers without involving ALSA. When you set ALSA volumes with amixer, Pulseaudio notices and corrects the source/sink volumes (actually using a somewhat complicated algorithm, because ALSA volumes can be chanined), but not matter what you try, you won't be able to control Bluetooth speakers that way. Use the name without the angular brackets. There is no "master" volume. You can also use scripts like this one which detects active sinks, and changes the volume on them. Not the answer you're looking for? 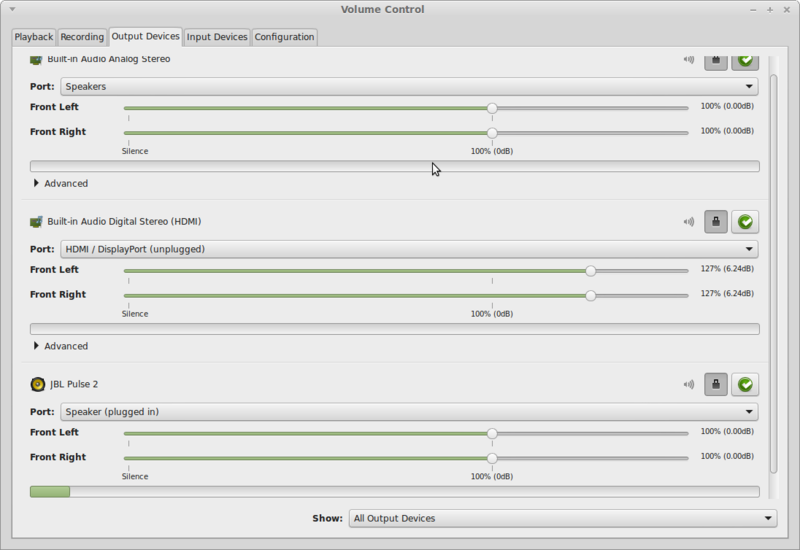 Browse other questions tagged linux-mint bluetooth volume or ask your own question. How to use a bluetooth speaker?